Many people are hoping that DirectX 12 will bring better performance in PC games no matter the circumstances, thanks to its low level, low overhead capabilities. Unfortunately this isn't always going to be the case, as the latest DirectX 12 benchmark has revealed. 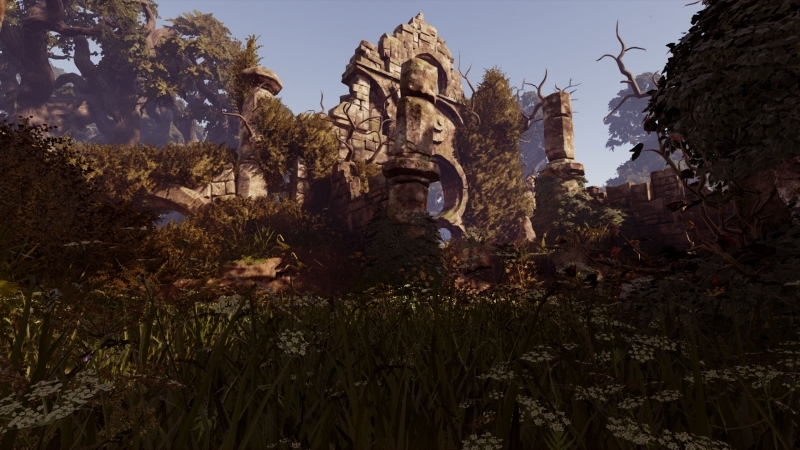 Our friends over at The Tech Report recently got their hands on an early preview of Lionhead Studos' upcoming game Fable Legends, which is built using Unreal Engine 4 and supports DirectX 12. This early preview build includes a graphically-impressive benchmark that tests the engine and DirectX 12's performance in a 3D-heavy role-playing game scenario. The Tech Report tested a variety of cards from AMD and Nvidia, as well as variety of CPU configurations, and found that the game running in DirectX 12 mode (the only mode available at this stage) resulted in performance figures that looks just like any other current DirectX 11 game. For starters, the Nvidia GeForce GTX 980 Ti delivered the best performance at both 1080p and 4K, which differs from an earlier DirectX 12 benchmark of Oxide Games' Ashes of the Singularity that showed better-than-usual performance for AMD's hardware. In Fable Legends, AMD's Hawaii-based cards actually reported performance relatively close to the newer and supposedly more powerful Fury cards. The R9 390X in particularly looks like a very attractive option in this game when placed against the GTX 980, considering the price of both cards. When the benchmark was performed on a CPU-limited platform, performance increased as more cores and threads were added up until the system reached four cores and four threads, after which performance plateaued. However at 1080p with ultra settings enabled (settings that gamers would typically use), the game became GPU-limited, which resulted in less dependence on CPU cores and made less use of DirectX 12's strengths. In general, performance in Fable Legends using DirectX 12 looks very similar to what you'd get from current non-DX12 games, even though at this stage it's not clear what performance advantage DirectX 12 gives over DirectX 11. If you're interested in a closer look at Fable Legends' DirectX 12 performance, check out the full report from The Tech Report here.